We devised a touring version of our latest show to be in conversation with the sectors most affected by our subject matter, deportations and police brutality. We also performed a shorter version of this show at an ASC’s Culture Block event in the University City area. February 2018. In this project, we are particularly interested in the concept of being safe, as a social construct, what allows such state of being and what disrupts it. Being an ensemble primarily constituted by members of underrepresented communities at large, such concept truly has landed close to home particularly after some recent events such as the killing of Keith Lamont Scott and the subsequent turmoil where peaceful protests turned into uncontrolled riots, the most recent presidential election which has resulted in the return of mass racism, and the fallacy of cities being sanctuaries yet ICE raids happen with regularity. Police brutality and the way the black community has been portrayed, further preserving the otherness disassociation, is something that truly must be addressed. Same deal with the recent anti-immigrant raids/blockades in the search of those illegal, has caused a level of fear within our Latino community without a clear path for a potential solution that would benefit all parts involved. Therefore, we feel called to action, as we seek a collective solution. "'Circus people are continuously searching for freedom,' says CarlosAlexis Cruz. 'It's a sense of weightlessness, a dream of flying — like Icarus.' The Physical Theatre Professor at The University of North Carolina at Charlotte is discussing the tension between safety and liberation embodied by his Cirque du Soleil-style acrobatic troupe Nouveau Sud ("New South"). 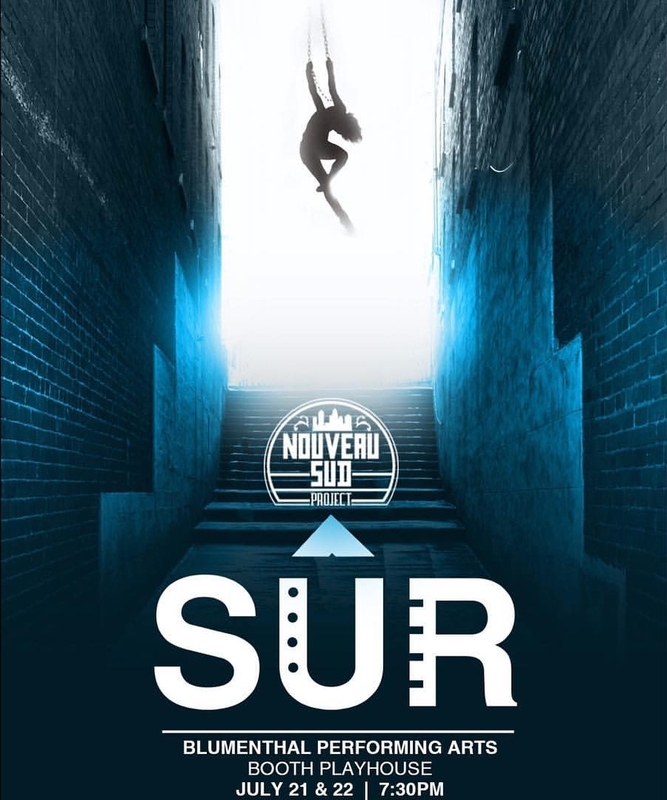 Their latest project, Sûr: An Acrobatic Journey in Search of Safety, goes up July 21 and 22 at the Blumenthal Performing Arts Center's Booth Playhouse."